Aerial photograph of the Lena Delta, Siberia. 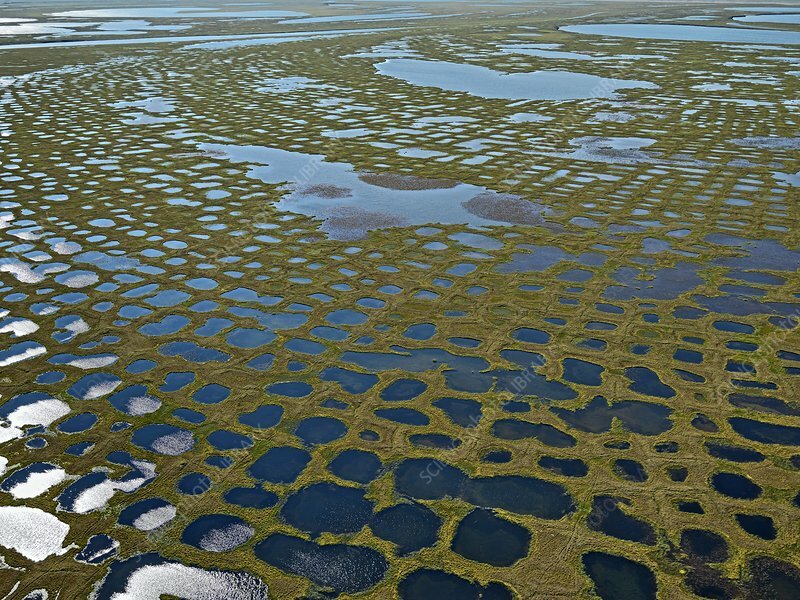 In the few weeks of summer, the tundra in this Arctic Delta explodes into life. Mosses, lichen and grasses grow and blossom, and vast quantities of aquatic plants thrive in the numerous, closely packed pools. The landscape, which is frozen for most of the year, turns green. The soil beneath the pools is permanently frozen, preventing the water from trickling away.